I am not here to say that San Diego is going to jettison to the top of the WCC standings. That being said, what I like about San Diego and coach Bill Grier is that he has the Toreros playing a style of ball that is remarkably different from most other teams in the conference. As typical of years past, most schools in the WCC prefer a more “offensive-oriented approach” and for good reason: they are pretty good at it. When it comes to Adjusted Offensive Efficiency according to Ken Pomeroy, four schools rank in the Top-50 (Gonzaga, St. Mary’s, San Francisco and BYU), two more rank in the Top-100 (Pacific at 89 and Pepperdine at 100) and two MORE rank within the Top-150 (Portland at 111 and Loyola Marymount at 123). As a conference, Ken Pomeroy rates the WCC as the fourth best conference in the nation when it comes to offensive efficiency at 108.1 (which is helped by a conference-wide 3 point percentage of 38.1 percent, best of any conference in the nation). This isn’t 80’s Big East basketball. The WCC is known for scoring, lots of it and in an efficient way, and that has been a primary reason why the WCC has achieved its highest conference ranking ever on KenPom.com at No. 9 (though I believe the Mountain West and Missouri Valley getting gutted due to conference re-alignment severely weakened those conferences, which were typically ahead of the WCC but now fell this season; but that’s being nitpicky, as the WCC is the strongest its ever been top-to-bottom). But, San Diego is a team that does not fit that “offensive-emphasis” mold. The Toreros rank last overall in Adjusted Offense in the conference ranking 183rd in the nation. In conference play, while they have played better, they still linger near the basement with a rating of 102.8, ninth-best in the conference play (ahead of only Loyola Marymount, who has struggled efficiency-wise after a strong start). While they do excel in the three-ball (they have the best three-point percentage in WCC play at 43.5 percent), they struggle inside the arc (9th best two-point percentage at 45.4 percent) and turn the ball over way too much (WCC high 20.2 percent turnover rate). And yet, even though they rate as a pretty sub-par offensive team by WCC standards, the Toreros have been the most competitive team as of late, nearly knocking off Gonzaga on Thursday in Spokane, and upsetting Portland in the Rose City after the Pilots made national headlines with a 3 OT victory over a scorching BYU squad. They are nine points away from being 6-3 (with close single-digit losses to Pepperdine, USF and Gonzaga) rather than 3-6, and they suddenly look to be the kind of team that could ruin many WCC teams’ postseason hopes. How are they doing it? While you could credit it to a variety of factors, I think two major playing trends emerge: their slow tempo and defensive approach. First off, San Diego is not the only squad in the WCC that plays at a slow tempo. St. Mary’s has done this for quite some time under Bennett, and they also run a slow tempo to maximum offensive effectiveness (they rank second in offensive efficiency in conference despite playing the fourth-slowest tempo in conference play). Gonzaga, which originally started the year playing at a faster tempo, has slowed down considerably in conference play (third-slowest in conference), which has worked to their advantage in some games (BYU) and not so in others (San Diego). So, slowing it down and playing a more half-court approach isn’t exactly ingenious or ground breaking on Grier’s end, since many teams do it when they feel they lack depth or the faster perimeter players to do so. Furthermore, Grier’s teams have typically played a slower tempo in his career at USD, as he has had only one team average over the 65 possession mark in his tenure at USD (the 2012 squad which averaged 66.1 possessions per game). But San Diego has slowed it down considerably so, and that has worked to their advantage in many games. In two out of their last three games, the Toreros have played two sub-60 possession games (USF and Gonzaga). Both those games went down to the buzzer, as the Toreros lost by a buzzer beater to USF and they had a chance to tie at Gonzaga. For a team that lacks offensive consistency like the Toreros, shortening the game has proven to be a strong competitive equalizer for them, especially against better offensive teams (as was the case with USF). While they do have some talent in guard Johnny Dee and center Dennis Kramer, they do have some efficiency killers (Jito Kok may be the worst offensive player in the conference by far as evidenced by his 72.8 offensive rating) that’ll keep them from being better than average overall. So, by limiting possessions and relying on the three point shot, the Toreros give themselves a fighting chance against the better teams in conference play. And it has worked, as the Toreros seem to be trending upward as a team, and still have valuable opportunities for possible upsets on the horizons with seven of their next nine games being at home (only St. Mary’s looks to be the daunting one, and that could be tougher because the Gaels are in their element in slower-tempo games). Contrast San Diego’s approach with LMU, who has taken a higher-tempo approach to offense (second highest tempo at 69.2 in conference play). While the Toreros are 3-6 against primarily road-game loaded first half of the schedule, the Lions are 3-7 and have lost to conference leaders USF, St. Mary’s and Gonzaga by double digits. While they did pull off the upset against BYU in their first conference game of the year, the higher tempo has exposed the Lions’ poor offensive efficiency as a team, while the slower tempo has hid or at the very least minimized the Toreros’ woes on the offensive end (remember, both teams rank 9th and 10th in conference play offensive efficiency). And how has this strategy of play affected to coaches’ futures? Well, it looks like Grier may be on the way to finishing the season strong enough to merit another season, while Lions coach Max Good will have to do a lot to earn an extension at the end of the year. So, tempo has been a key factor to the Toreros surprising success, though not the only key. The improved defense has also been a reason why the Toreros have also remained competitive, and since those two approaches complement each other nicely (defense and slow tempo) it’s no surprise that they have transitioned to success on the court for San Diego. In terms of defense, numerically it’s not all that impressive, as the Toreros’ 110.7 defensive efficiency rating ranks seventh in conference play. That being said, their overall rating sits at 100.9, which is 108th best in the nation and the Toreros have had some really bad performances that have hurt their conference rating thus far (they gave up 1.31 points per possession in a 23 point loss at BYU). Going back to that rating though, the 100.9 mark, if the season ended today, would be the best mark for Grier since the 2009 season, when the Toreros finished with a defensive rating of 97.6, 77th best in the nation. The mark is a nice wave of progression for Grier and the Toreros over the past couple of seasons. Grier made his mark as a defensive-coach as an assistant at Gonzaga, and he carried that in his first two years at the helm in San Diego. His first team, which went to the NCAA Tourney and upset UConn as a 13 seed, was a stout defensive squad as they ranked 49th in the nation in defensive efficiency at 95.9. However, after two seasons where his teams ranked in the Top-100 in defensive rating, they took huge steps in years three through five, as they posted mediocre defensive rating rankings of 162, 224 and 230, respectively. Suddenly, the strongest aspect of Grier’s ability as a coach (the defensive side) looked to be a weakness after the initial wave of success. However, Grier made one key hire after the 2011 season that has helped the Toreros defensively: he hired former LMU coach Rodney Tention as an assistant. Now, Tention was far from “good” as a coach at LMU. His 30-61 overall record looks bad in a variety of different lenses. But, Tention was a much better coach than people gave him credit for. For starters, Tention was actually a very decent defensive coach, and if you want to know why or how the Lions, despite being a 12-win team, came within a tip-in of beating an Adam Morrison-led Gonzaga team in the WCC Championship, the Lions’ defense was the answer (remember, the Lions went 9-6 in conference play that year). In 2006, the Lions posted a defensive rating of 96.2, 60th best in the country, and in his second year, the Lions, though 13-18, still remained in the Top-100 in defensive rating at 93rd in the nation with a rating of 99.1. While things fell apart for them as a whole in 2008 (only six teams were worse overall than the Lions in 2008), Tention was actually a good defensive coach. The only problem was that he struggled to find consistency with his offense, and he opted for a style that didn’t necessarily play to his teams’ defensive strengths either (they ranked in the top-100 in terms of fastest tempo in his three years). And so, it made sense why things never worked out for Tention as the head man at LMU. Under Grier’s staff though, Tention has seemed to help the Toreros and Grier find their mojo again on the defensive end. They have steadily improved the past couple of years, and I’m sure Tention’s expertise on defense has meshed well with Grier’s philosophy on defense and slowing it down (rather than speeding it up, as Tention did at LMU). This season, the Toreros have the kind of squad that fits what Grier wants to do: slow it down, grind out opponents on the defensive end, have certain player (i.e. Gee) make some key shots, and keep games tight against opponents which may be more loaded than his San Diego squads. They still aren’t as elite as his first-year squad, but it is obvious that they are making progress toward reaching that point. Tention’s influence, though under the radar to most people, has been felt, especially when you look at the improvements in defensive ratings over the past three years. And, with this approach complementing their slow, half-court style, the Toreros remain different, an anomaly to what is typically seen from teams in the WCC. In college basketball, different is good. Different is what worked for Princeton under Pete Carril, LMU under Paul Westhead and Arkansas under Nolan Richardson. And for Grier and San Diego, being different could give them a chance to replicate what they did in 2008 as soon as next season (though you never know come WCC tourney time). Is Rex Walters Finally Turning a Corner at San Francisco? I know it’s been a while since I have posted. I have been caught up with the start of school (both teaching and graduate school), so it has been tough to find time to post. That being said, I think I have found a routine, which should open up more writing down the road. Hopefully, I’ll get at least a couple of posts a week, especially as we just pass the mid-season mark in the WCC. If you have read this blog before, you know that Rex Walters topped the list in terms of the Coaching Barometer Check. It made sense: Walters was in his sixth year, and had not made consistent process, and the sudden “retirement” of senior Cody Doolin and numerous transfers over his tenure made people wonder if there were things going on internally in the Dons program. Well, since the Doolin departure, the Dons have actually been competitive as a squad this year in the West Coast Conference. Even though they are coming off two straight losses to St. Mary’s on the road and BYU at home and were blown out on the road at Gonzaga, the Dons still sit in good shape in the WCC with a 4-3 conference record heading into today’s home contest against San Diego, a team that has statistically been in the bottom of the WCC in both offense and defense (9th in conference both Adjusted Offensive and Defensive Efficiency). With home games looming against St. Mary’s and Gonzaga, and with “better-than-you think” road wins over Portland (remember: Portland beat Gonzaga at the Chiles Center), and Pacific (127th in Ken Pom’s ratings), the Dons are setting themselves up nicely as the fourth place team in conference this year, which should give them a good shot to make a run in the WCC tournament should they finish the year in that position (they would get a much needed bye). After the Doolin fiasco, it was typical to think that the Dons would hit the skids. After all, we have seen changes of any sort not go well in the Dons’ favor in the past (cough…Eddie Sutton…cough). That being said, the Dons have been strong as a team offensively, as they rank 37th in the nation in Adjusted Offense with a rating of 112.9. They have been a little inconsistent in conference play (thanks to the stinker in Spokane), as their rating is only 108.3 in conference play (5th best in the conference), but they have showed flashes of brilliance on the offensive end, and they have interesting players that make them a dangerous foe. What has made the Dons such a strong offensive team this year? While their shooting leaves some to be desired, their ability to create second chance shots has been a strength of this Dons team. They rank second in the conference in offensive rebounding percentage with a rate of 35.7 percent, and they did out rebound the Cougars (the no. 1 rated team in the conference in offensive rebounding percentage) in their contest on Jan. 16th. Kruize Pinkins has been a primary reason why the Dons dominate on the glass, as his 18.5 offensive board percentage is fourth best in the nation. Cole Dickerson and Matt Glover have also contributed as well on offensive glass, as their percentages are 8.5 and 8.0, respectively. One of the biggest surprised for the Dons this year has been the emergence of sophomore Mark Tollefsen, a 6-9 forward who has the versatility to guard players on the perimeter. He has been extremely efficient offensively, as he is posting a 128.2 offensive rating and an effective field goal percentage of 63.8 on a usage rate of 17.5. However, while his offensive game is vastly underrated (and probably underutilized), it’s his defense and athletic skills that make Tollefsen such an interesting player. He is quick enough to guard bigger guards, and while his block percentage helps confirm his defensive prowess (4.0 block percentage), it’s his ability to hound and make opposing players uncomfortable that makes Tollefsen such a valuable player for Walters. 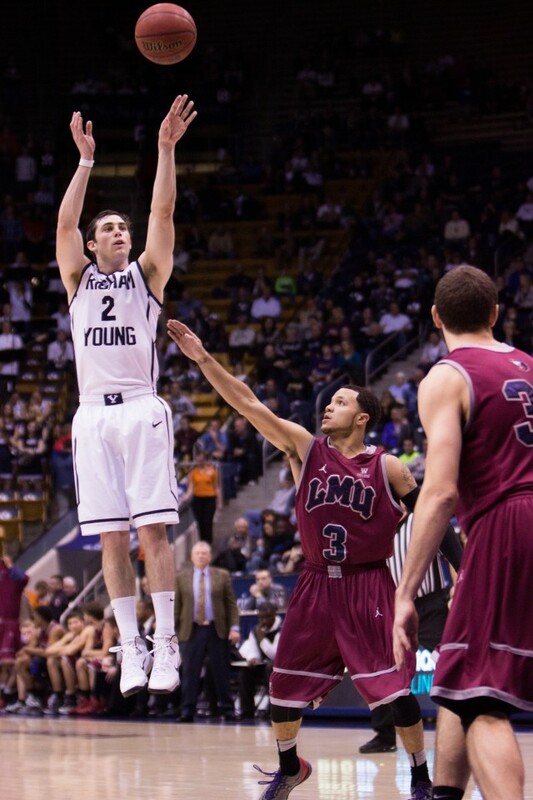 Against BYU, Tollefsen was making BYU players struggle early on, as his combo of height and wingspan made him a defensive nightmare for opposing perimeter players. Defensively, the Dons do leave a lot to be desired this year, as Walters has struggled to get any consistency from them on that end of the court. They are one of the worst teams in the nation in defensive rating, as they are posting an Adjusted Defensive rating of 108.9, 264th in the nation. Conference play hasn’t been much better, as they rank 7th in the conference in Adjusted Defense, as they struggle to generate turnovers (8th in the WCC in turnovers-caused percentage) and send their opponents to the line way too much (9th in conference in opponent free throw rate percentage). It’s those defensive deficiencies that will probably keep the Dons from being a true dark horse in the WCC this year, though they will certainly provide entertaining games, as evidenced by their contest against BYU at War Memorial Gym. And still, though the ceiling probably isn’t high for the Dons “this” year, there’s a lot of potential in next year’s squad. The Dons only lose forward Dickerson next year, and though Dickerson leads in a lot of “peripheral” stats (points per game, etc. ), efficiency-wise, he’s probably a bit overrated (101.5 offensive rating on a 25.7 usage rate). But, Pinkins and Tollefsen return in the post, and they also return guards Glover, Avry Holmes, Chris Adams, and Tim Derksen, who have also showed solid play in their replacement of Doolin. Also, they will return the raw of potential of Chinese import Tao Xu, who is extremely raw, but could have the ability to help the Dons’ ability to continue to dominate on the boards in WCC play for the remainder of this year and especially next year. Ken Pom projects the Dons to finish with a 16-14 record for the year (9-9 down the stretch), and if the Dons finish with a record like that, I think Walters gets one more year. The amount of talent returning next year is enticing, and it seems that the Dons have found the right mix and identity to find success in the WCC. Defensively, I don’t know if they’ll ever be elite under Walters. But, if they can at least be average, or slightly below, they could be a real dark horse next year, especially if they continue their offensively efficient play in 2015. To be honest, the turnaround is surprising under Walters, and he and his coaching staff have been able to weather through the storm of the Doolin distractions and the lackluster start in non-conference play. Walters at the very least in his tenure has proven to be a solid offensive coach, and his ability to still find success despite the wave of transfers and new players is a good sign of his ability as strategist on the bench. While his recruiting classes haven’t generated big buzz in “recruiting circles” (i.e. Rivals or ESPN), he has found good talents in Tollefsen and Pinkins, who fit his system well and are probably better than their subjective “Recruiting Site” ratings. There still is a long way to go, and there is the possibility that USF will still hit the skids and hit rock bottom. We have seen teams already this year in the WCC (LMU and Pepperdine for example) who looked to be dark horse contenders, only to fall back earth due to flaws that they simply couldn’t overcome over the long course of the WCC season. USF has those flaws just like any other team (mostly defensively), but Walters has them playing a style of ball that maximizes their strengths (crashing the boards, playing a moderate tempo) while limiting their negatives (questionable shooters, sloppy with the ball). Walters has made an adjustment with his squad this year that many coaches this year in the WCC have failed to do consistently through the progression of the WCC campaign. Its signs like that which should bode good things for Walters and his Dons squads, especially if all of his talent does return as expected next year (which unfortunately for him and Dons fans hasn’t been a sure thing, and has been hard to determine if its more of the culture of college basketball or something he’s doing internally in the program; I’m starting to believe it’s more of the former). It may have taken longer than expected, but just maybe, things are looking up and success may be shortly on the horizon for the long-suffering fans on “The Hilltop”. I was looking up some data on Ken Pom.com (I know I’m addicted to that site), and I found something interesting. This season, many WCC programs rank near the bottom of the nation in terms of utilizing their bench. Only one team ranks in the Top-100 in terms of bench minutes percentage (Pacific), a stark contrast in comparison to years past from WCC teams. While you can access the Data Sheet on Bench Minutes on the “Data Sheets” Page, I’ll post the numbers right here to give you a context of the lack of time the bench players see in the WCC. Now, there are a variety of reasons why certain coaches utilize their bench less than other rival coaches. For some, it all can depend on a coaches’ style. A team that presses more, plays more in transition is more likely to use their bench to keep fresh legs on the court to play to their system. This is the case for a program like Arkansas who leads the nation in bench minutes percentage at 45.3 percent. 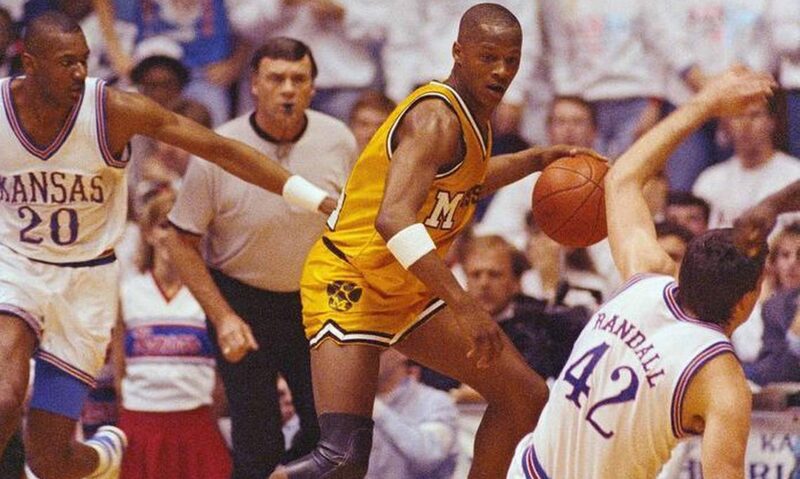 Mike Anderson, a former Nolan Richardson disciple, plays a full court, high-pressure defensive style (i.e. “40 Minutes of Hell”). In order to maximize his team’s effectiveness (especially on the defensive ends), constant bench usage is necessary. Of course, the correlation between tempo and bench isn’t always the case as BYU plays the fastest tempo in the nation (77.6) but is in the bottom when it comes to bench minutes usage. One big misconception though is that talent depth is a reason for more bench minutes usage. Teams who have more talent on the roster, should surely use their bench more than programs who are thin talent wise. So, if this thought is true, a team like Duke would be utilizing their bench than say a program like Montana State. That isn’t necessarily the case. When it comes to the Top-50 for teams who use their benches the most, only six (Arkansas, Purdue, Iowa, Texas A&M, Houston, Georgia, Louisville, Oregon State) came from major conferences, and only one (Louisville) made the NCAA Tournament a year ago (though Iowa was certainly deserving). The same proves to be true in the WCC. The top-3 favorites (Gonzaga, BYU and St. Mary’s) in the conference rank in the bottom of the conference in terms of bench minutes percentage while the ones at the top were relative afterthoughts going into the season (though Pacific did make the NCAA Tournament a year ago albeit as a Big West representative, a much weaker conference than the WCC). As you can see the four year results provide some interesting trends. For starters, Randy Bennett seems to be the leading coach in the WCC who trusts his bench the least. His 26.4 percent four year average for bench minutes percentage correlates to the 23.1 percent bench minutes percentage we have seen from his squad this year (though even for his standards he trusts his bench even less so this year, as it is 3.1 percent below his four year average). Rex Walters has sort of employed the same “shallow rotation” with his Dons squads, as his 29 percent four year average is was second-least in the conference. Considering the amount of transfers Walters has seen in his tenure on “The Hilltop” it’s interesting to wonder if his “strict rotation” (or lack of bench utilizaiton) was a reason for a lot of his transfers or just one of the effects. LMU leads the WCC in bench minutes percentage over the four year span with an average of 34.1, barely edging out Eric Reveno and Portland who finished with a four year average of 34. Portland’s finish is interesting because they never led the conference in bench minutes percentage from 2011-2014, but they finished second in the conference in 2012 and 2013, so that explains their close finish to LMU, who led the conference in bench minutes percentage in 2012 (they had the 37th highest bench minutes percentage in the nation that year as well). The most eye-popping case is at Gonzaga with Mark Few as his bench minutes percentages have fluctuated wildly over the past four years. As you can see by his four year average, Few obviously numbers and minutes-wise utilizes his bench a decent amount, but that sharply contrasts from what we have seen this year (hence, their third-place finish in the four year average with an average of 33.7). 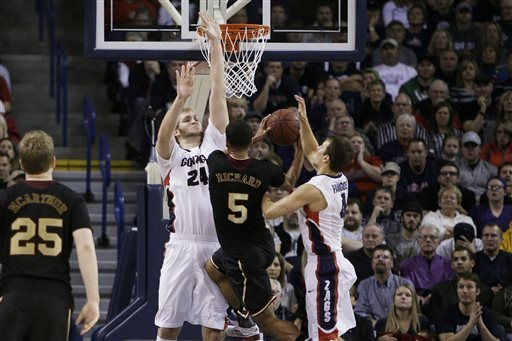 In 2011, the Zags led the conference in bench minutes percentage at 38.5 percent (30th highest in the nation). Last year, they ranked fourth in the conference but still finished 81st in the nation (2013 was a year for bench players in the WCC as only BYU was outside the Top-200 in terms of bench minutes percentage) with a percentage of 34.8. But Few at times has showed years where he has relatively little trust in his reserves. In 2012, he trusted his bench less than the 4 year average, as the bench only averaged 32.7 minutes and this year, he showed even more of a lack of trust, as the Zags reserves are averaging only 28.7 minutes per game. Now, the lack of depth in the front court could be the main cause of this, but it is interesting to see how minutes have plunged at times in the Zags program, compounded by the fact that they have had many transfers over the past few years which ultimately led to this lack of depth for this Zags squad (just look at Gonzaga transfer Ryan Spangler who is starting for Oklahoma now). Few has showed a short leash with players on the bench, even though his teams have been the deepest in the conference talent-wise for years. Even this year’s team has a lot of depth on the perimeter, but as displayed from the numbers, he doesn’t utilize them as much as other, lesser-talented teams in the conference. All these numbers are up for interpretation and as stated before, there are lots of reasons why certain coaches utilize their bench more or less. Whatever the reason, it is interesting to see the numbers laid out, and see how each coaches’ process will fare out for them over the conference season and into conference tournament play and beyond. 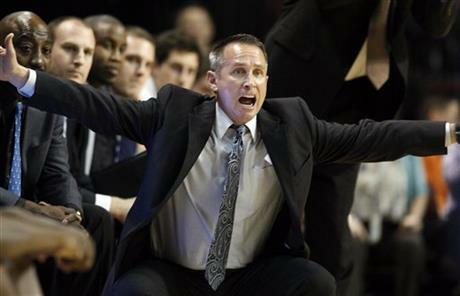 Mark Few has always earned his reputation as an “offensive” coach. Regularly, his teams rank in the top 20-30 in terms of offensive efficiency according to Ken Pom’s ratings. He has produced offensively efficient players from the well-known like Adam Morrison and Kelly Olynyk to the lesser-known JP Batista and Kyle Bankhead. This year, the Zags continue to be efficient in the offensive end, as they are rated 10th in the nation with a 117.4 offensive rating this year (which has helped them be rated as the 18th best team in the nation according to KenPom). But, the Zags wouldn’t be sitting alone on top of the WCC now with a 4-0 record if they were just good offensively. Much to its credit, there are a lot of good offensive teams in the WCC this season. St. Mary’s has continued their tradition of producing great offense under coach Randy Bennett (though he is sitting out the first 5 games of conference play due to a recruiting violation issue), as they are posting a rating of 116.5, 13th best in the nation. San Francisco and BYU have also been solid squads on the offensive end, as they are posting ratings of 111.0 and 110.4, good for 48th and 57th, respectively. If there’s one thing the WCC doesn’t lack, it’s an ability to score points (only San Diego is not rated in the top-150 in terms of offensive efficiency). What has separated the Zags in conference play so far has been their defensive performance. Despite missing Gary Bell for three games and Sam Dower battling through injuries, the Zags have posted extremely stellar efficiency numbers on the defensive end so far in WCC play (just accounting WCC games). The Zags lead in six of the nine defensive categories on Ken Pom.com, and in two of them they finish second. They are the top team currently in terms of effective field goal against (39.2 percent), turnovers caused (19.4 percent), offensive rebounds prevented (22.3 percent), 2-point percentage against (35.8 percent), block percentage (18.2 percent) and Adjusted Defensive rating (82.2). To put into context how good their start has been from a numbers standpoint, their Adjusted Defensive rating is 19.7 points better than the second-best team (BYU), their eFG percentage prevented is 5.6 percent better than the next best team (Pepperdine) and their block percentage is 4.7 percent better than the next best team (Portland). The Zags have been absolutely dominating teams on the defensive end so far in conference play, and if you don’t necessarily buy into the advanced numbers, you can just look at the scores: against two teams rated in the top-40 in Adjusted Offense (USF and St. Mary’s), the Zags held them to a combined 92 points and 0.60 Points Per Possession and 0.80 points per possession, respectively. Additionally, against St. Mary’s, the Zags held one of the WCC’s best and most efficient players, Brad Waldow to only five points and a season low 48 offensive rating (his previous low this year was 103 against George Mason). Yes, the Zags’ numbers are amazing. However, what makes it more amazing is that they’re succeeding in an area where they were supposed to be weak this season. They lost their top-two post players (Kelly Olynyk and Elias Harris) from a year ago, and many pundits (including myself), figured the front court was going to be an issue for the Zags this season. While the scoring and offensive production has been inconsistent, defensively it has been a strength for them. Their 2 point percentage against is 5.1 percent better than the next best squad, and one of the reasons for that has been the defensive play of center Przemek Karnowski. Karnowski has been a bit inconsistent this year on the offensive side (only a 100.2 Adjusted Offensive rating, compounded by a 48 percent free throw percentage and a 100.0 FT rate; lots of chances and low percentages don’t result in efficiency). On the defensive side of the ball though, he has given the Zags a true defensive presence that the Zags haven’t had before. At 7-1 and 305 pounds, Karnowski is a load in the post and makes it not only tough for opposing WCC post players to get position on him, but he is effective in taking away driving lanes for WCC guards as well. That was especially evident against USF and St. Mary’s as not only did he shut down an elite offensive player (Waldow), but he also provided a wall for the Dons and Gaels to get to the hoop, leading to the sub-par performances each team experienced in Spokane. Additionally, the subtraction of Olynyk and Harris, while devastating on the offensive end has actually been good on the defensive end, as Karnowski may be a better post presence defensively than either of them, especially Olynyk (who was the true center last year). Numbers wise Karnowski bests Olynyk in terms of block percentage (8.6 to Olynyk’s 5.1) and defensive rebounding percentage (24.2 to Olynyk’s 20.5). But even on the tape, Karnowski shows excellent instincts for a post man, as he knows what to do well and understands how to use his body as a wall to protect the hoop, even if he may not be the most athletic big man in the WCC. One of the problems for Olynyk was that he would get out of position at times on the defensive end, which would not only hurt in terms of allowing points at the rim, but also make the Zags vulnerable to allowing second chance shots. That hasn’t been the case with Karnowski this year. He stays his ground well and is able to do just enough to get in the kind of defensive position to take away easy shots in the paint (something you couldn’t always say out Olynyk). And, to make things better, Karnowski doesn’t sacrifice rebounding position to defend shots, and this has been a reason why the Zags have been much better at preventing offensive rebounds this year than a season ago (32.2 percent offensive rebounds prevented rate, third best in the WCC). That being said, Karnowski is not alone in terms of helping the defensive effectiveness of this Zags squad. With the Polish center taking away the middle with his solid frame, strong defensive instincts and ability to limit second chances shots (he has a team high 24.2 defensive rebounding percentage, 63rd in the nation), his presence has complemented the Zags’ perimeter defenders nicely. The biggest surprise contributor has been 6-5 wing man Kyle Draginis who has seen an uptick in playing time since Bell’s injury. Draginis has the length and speed to frustrate opposing guard, and it has been obvious that the defense has improved since he has earned more minutes in the absence of Bell. Furthermore, his 2.5 steal percentage has been a nice surprise for a team that leads the WCC in turnovers caused percentage. Of course, Draginis has not been the sole reason for their superb play on the perimeter defensively. David Stockton, though out matched at times physically, continues to be a pesky defensive player, as he is second on the team in steal rate at 3.3 percent. Gerard Coleman, who was buried for a while on the bench until he earned more minutes with Bell’s injury, leads the team in steal percentage (3.6 percent) and has the kind of wing span that belies his size (6-4) and makes him a matchup problem at times for opposing guards. And Angel Nunez may be the biggest wild card of all, as he has the size and length to guard smaller forwards on the perimeter or small post players in the paint (though strength-wise, that is still a question). The bottom line? The Zags have all kinds of weapons on the perimeter, and the presence of Karnowski and a healthy Dower down low make those wing players able to be more aggressive on the defensive end, knowing they have that presence in the paint taking away the drive at the basket. At the end of the 2006 season, it seemed like Few was at a crossroads in terms of what to emphasize defensively as a coach. Though he has produced good defensive squads his first years, in 2005, they ranked as the 4th best team in the WCC in terms of defensive efficiency and they rated as the third-best team in the WCC in 2006. The reason? He had excellent offensive players in Adam Morrison and JP Batista and it seemed that the Zags went into contests with the idea that they could simply outscore and provide just another defense to win. There was some success with this model, as they did reach the Sweet 16 in 2006 and lost to a team that eventually went to the NCAA Championship in 2006 (UCLA). Instead though of preferring that style, he has recruited more defensively talented and inclined players since the Morrison-Batista era (they haven’t ranked below second in defensive rating in the WCC since 2006) and that is still relevant today, even with the WCC offensively probably at its most talented in comparison to years past. The Zags are not just able to scrap by defensively, but they have showed that they are able to dominate squads (and good offensive squads) in the WCC. In a conference where there is much more parity than in years past, the Zags emphasis and ability on defense this year may be the chief reason why they rise above the pack for another consecutive season. It has been a while since the Pepperdine Waves have achieved success in basketball, as the program has had quite a history in terms of producing some successful coaches who earned their stripes in Malibu. Jim Harrick led his team to multiple NCAA Tournament berths before he took over at UCLA and won a national title (and committed multiple violations there as well as other stops at Rhode Island and Georgia). Lorenzo Romar built a key foundation for the Waves before he took the St. Louis position (and then eventually Washington’s, his current spot). Jan Van Breda Kolff led the Waves to a surprise Sweet 16 appearance before leaving for St. Bonaventure in 2001, and Paul Westphal led his team to a 21-win season and NCAA Tournament berth in his first year. The bottom line? The Waves have had talent and success in the past with their teams. Recently though, time have been pretty rough for the Waves. After a successful first season with Van Breda Kolff’s players (including Brandon Armstrong), Westphal failed to reach success, as he hovered at or around .500 for three seasons before going 7-20 in his last year. Dribble-Drive Motion Offense guru Vance Walberg took over for Westphal in 2006, promising that his high octane offense (which John Calipari adopted at Memphis and was successful for Walberg at Fresno City College) would help the Waves make an impact in the WCC. Defensively though, the Waves struggled in his first year (they rated 308th in the nation in defensive efficiency in 2007-2008) and after a 6-12 start in his second year, Walberg stepped down. Former Waves coach Tom Asbury stepped up to take over the program that season and stayed on as head coach for three more seasons, but Asbury was unable to rekindle the success of his first tenure (1988-1994), and he too stepped down early on in the 2011 season. Now, the man in charge is Marty Wilson. Wilson has achieved mixed success so far as the Waves’ head man. Wilson went 3-10 as interim filling in for Asbury, and in his first two seasons, he went 22-31. Though he brought in some talent like Stacy Davis, who earned WCC Newcomer of the Year last season, many figured the Waves to hover near the bottom of the WCC. So far, the Waves have been the biggest surprise in the WCC this year. They are 10-5 to start the season and 3-0 in conference play with big wins over BYU at home and Santa Clara on the road. On the offensive end, the Waves have excelled in conference play so far, as their 114.8 offensive rating and 46.6 3 point percentage are the best marks in WCC play, and their 52.9 eFG percentage is rated 2nd. For the season, Pepperdine hasn’t been a WCC fluke either, as their offensive rating for the year is 108.5, 77th best in the nation, a vast improvement on their 96.4 mark a season ago. How has Wilson and his Waves experienced so much success? We all know about Davis, sure, but the production of center Brendan Lane and guards Jeremy Major and Malcolm Brooks has been a key reason why the Waves are sitting at the top of the WCC standings along with Gonzaga. Lane, a senior transfer who languished on the bench at UCLA, has been a revelation in the post this year, as evidenced by his numbers: 124.1 offensive rating, 63 percent effective field goal percentage, 10.4 offensive rebounding percentage, 8.2 block percentage. So far, Lane’s production has been up there with higher profile players in the conference like St. Mary’s Brad Waldow and Gonzaga’s Sam Dower. That being said, unlike Waldow or Dower, Lane hasn’t been affected by injuries or ineffective nights, which has happened to both players as of late. Major and Brooks’ production has also been a God send for Wilson’s team. Brooks, though he is not a “primary” ball handler (16.5 usage rate), has been effective when he does have the ball in his hands, as evidenced by his 125.3 offensive rating and 58 effective field goal percentage. The best aspect of Brooks’ game though has been his ability to take care of the ball, as he only has a turnover percentage of 8.4 for the year (in comparison to an assist rate of 13.6, a +5.2 percent difference). As for Major, the Freshman guard has been an extraordinary playmaker for the Waves as he is sporting a 29.9 assist rate along with a usage rate of 22.3. Major still has the same freshman problems in terms of taking care of the ball (19.9 turnover rate), but he has showed the ability and aggressiveness to keep the Waves productive on the offensive end of things. Add these three with Davis, who is posting a better season than his lauded freshman year (which I noted in this post), and the Waves have a starting lineup that can compete with any squad in the WCC. A lot of props though has to be given to Wilson, who has eased off the reigns a bit in his third year as head man in Malibu. He has let his newcomers play and experience the early mistakes and successes that come with being young players. Furthermore, he has let them play a more wide open game, as evidenced by their 66.7 Adjusted Tempo, which is 2.9 points higher than a year ago and 4.8 points higher than his first full year as head coach. The initial preference for a slower, more half-court oriented game is not surprising considering his tenure as an assistant under Asbury and at Utah under Ray Giacoletti and Jim Boylean (both slower-tempo coaches). However, by trusting his players more and letting them play a more full-court style, the Waves have been much better offensively, as their 108.5 offensive rating is 12.1 points higher than a year ago and 15.2 points higher than his first full year. Give Wilson credit when credit is due: he adjusted to the talent he had on his roster, and it has paid dividends in his third year. Now, can Wilson lead the Waves to a WCC crown (either regular season or tournament)? It is tough to say after three games, but to be frank, they have as good a shot as anyone. While Gonzaga’s defense probably will carry them to another WCC championship of some sort (ether regular season, tournament or both), the Waves are not much different than other competing squads in the WCC (which at this point, looks like everyone). They are good offensively, and inconsistent defensively (they rank 241st in the nation in AdjD). That kind of profile will probably keep them in every game in the WCC this year, but it could also lead to letdowns as well (as evidenced by LMU and Santa Clara last night). I think the post presence of Lane and Davis, and the development of Brooks and Major on the perimeter will be key factors to watch this year. If Brooks and Major especially can continue the progress they have made this season, then it’s definitely in the realm of possibility to think that Pepperdine could sneakily be the second best team in the WCC. They may not be better than Gonzaga, but they certainly could give anyone else fits (not to mention a loss or two). Can the Gaels’ Offense Carry Them to a WCC Crown? We have seen some early surprises already this year in the WCC: BYU and Portland are off to 0-2 starts, Pepperdine and Loyola Marymount off to 2-0 starts, etc. Yet one thing that has remained the same is Gonzaga and St. Mary’s being cemented at the top, as they are a combined 3-0 going into their match up Thursday night in Spokane. The Zags have looked inconsistent on the offensive end in their home wins over Bay Area schools Santa Clara and USF, but the defense looks vastly improved with the addition of Angel Nunez to the lineup. The improved D was on full display against the Dons, where they held a team rated in the Top-50 according to Adjusted Offense to just 0.60 points per possession. Currently, the Zags rate 82nd in the nation in Adjusted Defense thanks to their last two performances (they were in the low 100’s going into the slate against the Broncos and Dons). St. Mary’s on the other hand bounced back offensively against the scrappy Pacific Tigers, as they beat the Tigers 88-80 in front of a pro-Tigers crowd in Stockton. While the Tigers are new to the WCC, the win is nothing to shrug off for Gaels fans: Pacific was a tournament team a year ago, and they were 9-2 and rated 110th in the nation according to Ken Pom going into the contest. However, after three straight losses in Hawaii (to teams rated in the 100’s at the time of their games), the Gaels were clicking on all cylinders on the offensive side of the ball. The Gaels scored 1.33 points per possession and didn’t have a regular player under 110 in terms of offensive rating. Furthermore, they also took care of the ball (only eight turnovers to the Tigers’ 11) and were able to create plays in the halfcourt, as evidenced by their 18 total assists for the game (compared to the Tigers’ eight). Even though the game got close toward the end, the Tigers were hard-pressed to come back in the second half, as the Gales were up as many as 13 with 2:26 left in the game. 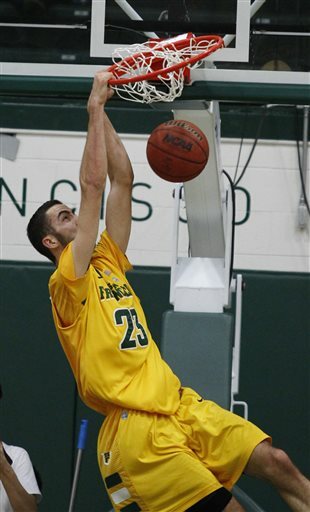 Offensively, there is no question St. Mary’s may be the most efficient team in the conference and arguably the country. The Gaels play the slowest tempo in the WCC (64.6 pace), but they remain in a similar mold to Gaels teams of the past: great outside team shooting and a good post player who can get it done inside and keep opposing teams honest. We all know about players such as Mickey McConnell and Matthew Dellavedova who could absolutely torch opposing teams from outside the arc. But, it was the presence of post players like Omar Samhan and Rob Jones that made those guys, and the St. Mary’s offense, effective as well. It was the presence of such an inside-outside combo that made the Gaels a difficult team to defend on a nightly basis. This year, coach Randy Bennett hasn’t changed things much. The Gaels still have effective shooters, as evidenced by guards Stephen Holt, James Walker and Kerry Carter, who all have 50-plus three-point shot attempts this year (and none have a 3 point percentage less than 43 percent). Furthermore, Beau Levesque, has proved to be a Daniel Kickert-esque forward who has been effective inside (55.3 eFG percentage) and outside (43.6 three point percentage). Thus, it makes sense that not only are the Gaels one of the best 3 point shooting teams in the country (43.3 percent, 4th best in the nation), but that they rely on the three point shot for a good portion of their points as well (32.6 percent, 54th highest percentage in the nation). But the glue that puts it all together and has made the Gaels so effective offensively has to be big man Brad Waldow, who is posting an insane 134.5 offensive rating and 64.2 effective field goal percentage with a usage rate of 26.1 percent (highest on the team). To put Waldow’s junior campaign into context, Waldow’s offensive rating, if the season ended today, would be almost 16 points higher than Samhan’s best year (his junior season in 2009) and his eFG percentage would be almost 10 points higher than Samhan’s best mark as well (Samhan’s junior season). Considering Samhan’s impact and legendary status with the Gaels, the fact that Waldow’s junior year has made Samhan’s best year pale in comparison bodes high hopes that the Gaels can be WCC contenders as long as Waldow can maintain this kind of efficiency over the course of conference play. For the year, the Gaels rank fifth in the nation in Adjusted Offensive efficiency (118.2). That being said, their defensive inefficiencies make this a vulnerable team at times, as evidenced by their performance in Hawaii. Statistically, the Gaels ranked 176th in the nation in Adjusted Defensive efficiency according to Ken Pom. While they defend beyond the arc reasonably well (they allow a 29.8 percent three point percentage, 42nd best in the nation), they struggle to defend in the paint, as they rank 182nd in the nation in 2 point percentage allowed. Compound that with mediocre steal (235th in the nation) and block (148th in the nation) and it makes sense numerically why the Gaels rate so lackluster on the defensive side of things. When you watch the Gaels in person, it makes sense why they struggle to defend teams at times. As good as Waldow is, athletically he doesn’t strike an intimidating presence. Much like Samhan, he has that “un-athletic” build, and he can get beat to the hoop or fall asleep defending his area in the zone at times. He doesn’t possess elite jumping or shuffling ability, and the fact that he is able to post the rates that he does not just in terms of scoring, but rebounding and defensively, is a minor miracle. Waldow isn’t alone though, as the Gaels do struggle at times to match up with more athletic players or teams, whether it is in the post or even perimeter (though less likely in the latter). This is evidenced by the Gaels creating a lot of fouls as a team, as they just aren’t able to keep proper defensive position due to their disadvantages athletically. The Gaels are allowing teams to average 44.5 free throw attempts a game, which is 4 points higher than the national average and 240th in the nation. The Gaels draw a lot of fouls themselves (they average 46.5 free throw attempts per game), but their tendency to foul a lot and not get a lot of steals either display the struggles they will face in WCC play this year against more athletic, “drive it to the hoop” squads. That being said, the Gaels have overcame this lack of athleticism and size before. They thrashed second seeded Villanova en route to the Sweet 16 even though the Wildcats had obvious athletic advantages over the Gaels with players such as Scottie Reynolds, Corey Fisher and Antonio Pena (who were all on the Final Four squad a year ago). Last year, Middle Tennessee State was a popular pick to make a deep run due to their athletic defensive-oriented squad. And yet, the Gaels were still able to pull off a 67-54 win in the “play-in” first round game. The Gaels may not impress people with their roster or when one takes a look at them in warm ups, but its obvious that they are magicians in terms of creating offense and getting points, and Bennett deserves a lot of credit for maintaining that kind of consistency even though the players he’s recruited haven’t athletically been much better than former Gaels in years past. So, can the Gaels be able to win a WCC regular season and/or tournament crown with their current approach? It will really come down to how they play against Gonzaga this year, who is not only in their ballpark offensively (they rank 11th in the nation in Adjusted Offense) but are better defensively than the Gaels, especially with the addition of Nunez, whose long frame presents a lot of match up problems in the Austin Daye and Micah Downs mold. St. Mary’s though can certainly make a statement on Thursday, as the statuses of Sam Dower and Gary Bell are in question, and if the Gaels can light it up early, it may be tough for the Zags to come back with two of their go-to guys out. However, a loss for the Gaels wouldn’t hurt them dramatically, as they will have another shot at the Zags at the end of the year on March 1st (last regular season WCC game of the year). While St. Mary’s will probably improve defensively over the course of the year (though how much is a question), they will need their offense to have a shot in the WCC and to earn a NCAA Tournament berth. Bennett has done this before with similarly made up squads, and though they may not have the “elite” guard like Paddy Mills, McConnell or Dellavedova from seasons past, the scoring balance they show on the perimeter, and the presence of Waldow, who is having a massive season efficiency wise, will probably keep this team in the WCC Championship hunt. The defensive issues are glaring statistically and in terms of the eye test, but I don’t think they are bad enough to keep this St. Mary’s squad from finishing any worse than second in the WCC (especially after BYU’s start).